Latest Sale explores the crystalized effect of Bijoux Oui, gold plated jewellery sets. The beauty and originality of this costume jewellery brand is the flexibility of the metal that enables the Bijoux Oui jewellery designers to create exuberant designs with classic undertones for a range of gold plated jewellery sets. The softness of pure gold makes creating certain designs difficult and so gold plated and silver plated metals are effective enablers. The usage of silver plated or gold plated metals also facilitates the incorporation of simulated coloured stones with crystalized effects incorporated into gold plated jewellery sets. 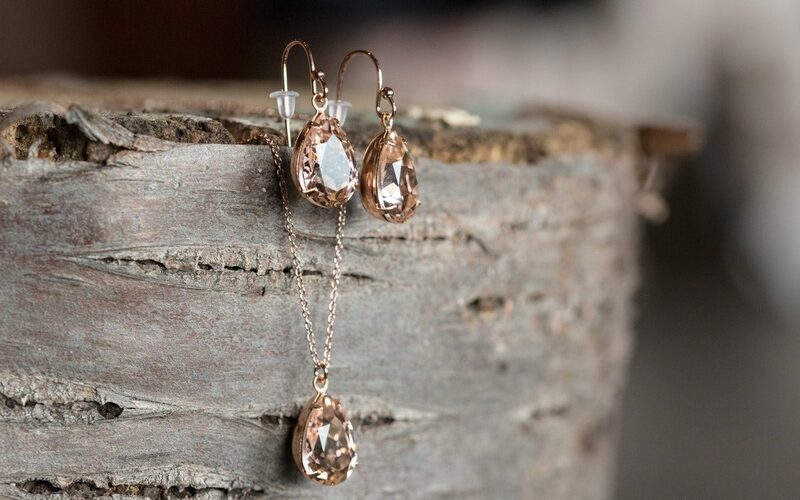 Such usage of simulated stones into the costume jewellery pieces can give the appearance of real gemstones such as topaz with perfectly matching necklaces and earrings. Costume jewellery colour tones may include rose coloured gold plated jewellery sets, a perfect accompaniment for the little black dress. Bijoux Oui gold plated jewellery sets are delivered in an elegant designer jewellery box.